← Image metadata is important!!! The EcoIP code has been available since the start of 2012 (approx.). It has been changing and will continue to do so as long as I am involved in automation of ecological measurements. Today marks a milestone in the project as the paper describing it has been published in Ecological Informatics. You can find it here. This is very gratifying for me and serves a validation that we might be heading in the right direction by trying to automate ecological measurements. Images from the James Reserve. (A) Canopy of deciduous oak (Quercus sp.). (B) Close-up of deciduous oak (Quercus sp.). (C) Bracken ferns (P. aqualinum). (D) Yellow meadow wallflowers (E. capitatum). Fig. 1. EcoIP data processing work-flow begins with creating the ITS. 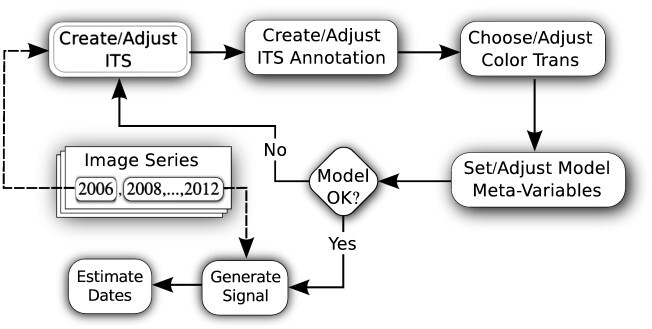 Models and signals are created with input from image series. Model creation is iterative. Data used for model creation is ignored in signal generation. I'm fascinated with how technology and science impact our reality and am drawn to leverage them in order to increase the potential of human activity. 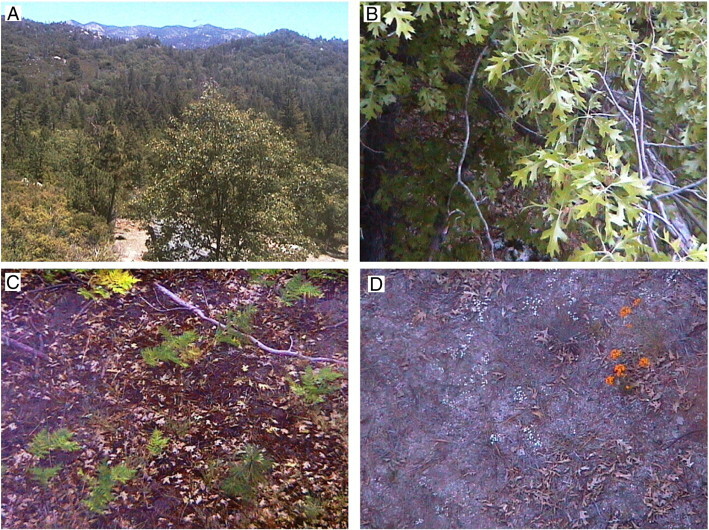 This entry was posted in PhD and tagged Automating Ecology, EcoIP, ecological measurements. Bookmark the permalink.